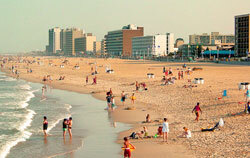 Festivals, parades, exhibitions, sports and more in Virginia Beach, Norfolk, Williamsburg and the rest of Hampton Roads. Come out and play! Check back often. New events will be added as information becomes available. Live music performances along the route makes this racing event fun. Virginia Beach. The Virginia Opera's free outdoor performance of favoriate arias. Town Point Park, Norfolk. Town Point Park and Norfolk waterfront. Norfolk. 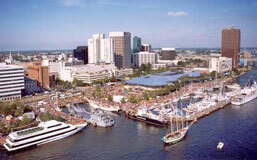 Celebrate the Elizabeth River with fun activities for kids and adults. Air show including the US Navy Blue Angels. Naval Air Station Oceana. Virginia Beach. The Neptune Festival's grand finale. Concerts, food, shopping, and more. Virginia Beach Oceanfront. Come enjoy arts and crafts in the sun. Virginia Beach Oceanfront. Oceanfront. Enter at 7th Street. Virginia Beach. Floats, balloons, and marching bands. Viginia Beach Oceanfront. Union Bank & Trust Pavilion, Portsmouth.